If the supply of electricity exceeds demand, disabling renewable sources is often the first and cheapest option. You have probably seen it a lot: The wind is blowing but the windmills are standing still, the rotors were turned off. This is partly due to the fact that a lot of Dutch electricity is produced by the five coal-fired plants whose energy production cannot easily be lowered in times of overproduction of renewable energy. It is also because we lack energy storage options in the Netherlands. 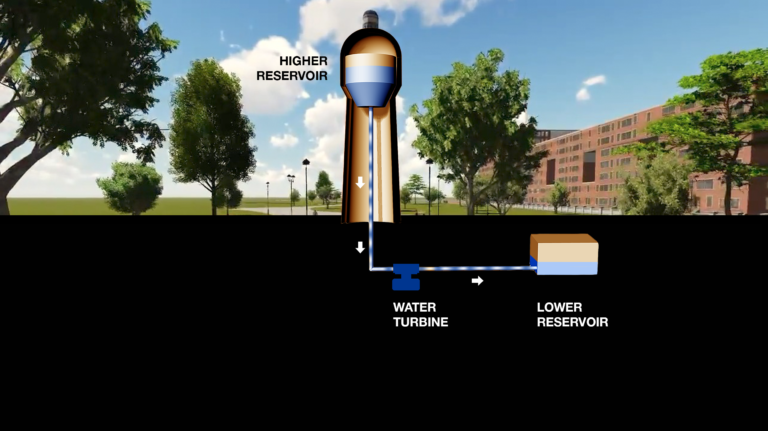 An effective way to preserve sustainable energy is to store water in a reservoir at higher altitudes. By pumping up large amounts of water in times of energy abundance and allowing the stock to flow back when there is a shortage, the back-flowing water can be used to generate electricity through turbines. This principle is not popular in the Netherlands because of the lack of natural elevations, the possibility of dyke breaches and need for space. But we have been overlooking that The Netherlands already has a water storage infrastructure connecting the whole country. 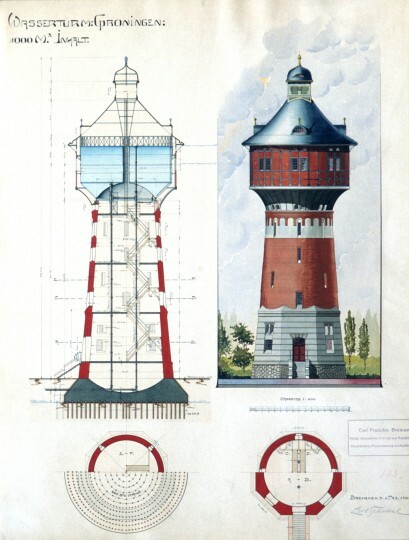 In the past decades our water towers became useless and there is an ongoing discussion on how to preserve these industrial icons. 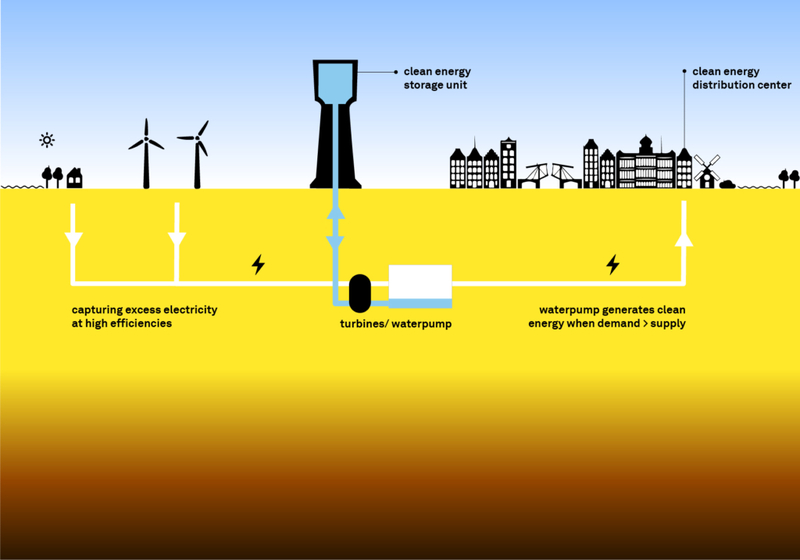 We propose to re-purpose them as energy storage units as the design would need very little adaptation. 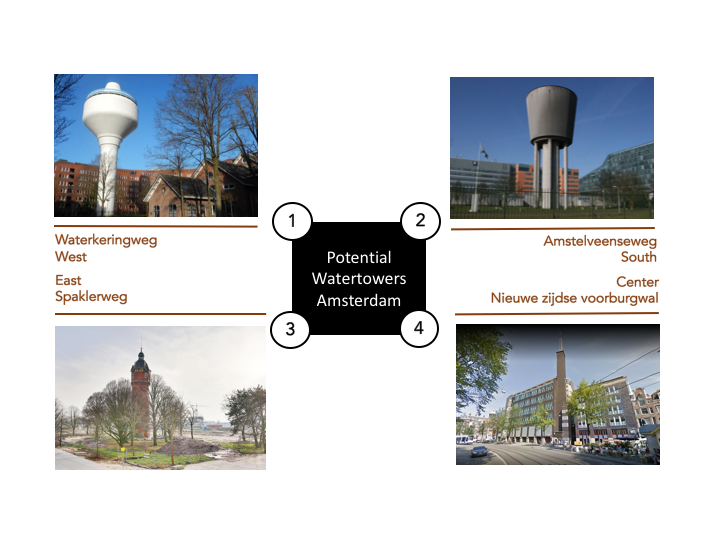 In this way our concept integrates clean energy storage with another pressing issue; the preservation of water towers that are part of the cultural heritage of the Netherlands.